Perfect bound, 228 pages , 5.5" x 8.5"
As one of six children of British missionaries in China, John Hoyte grew up in a life built on family and faith—until World War II swept through, putting him and his siblings in a Japanese internment camp for six long years. 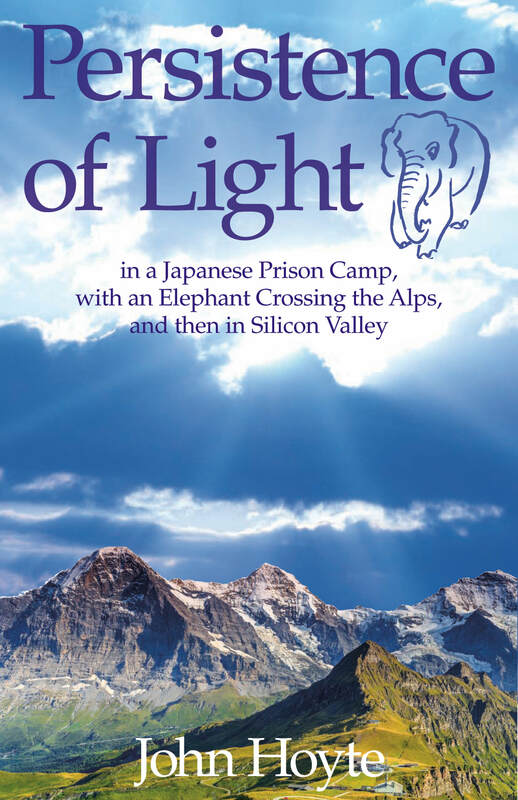 Grit, determination, and imagination were the only way to survive—and they became the basis for the seven decades that followed, marked by such amazing exploits for Hoyte as leading an elephant across the Alps to follow in Hannibal’s path and perfecting an invention that launched a 50-year career in Silicon Valley. John’s book, like his life, is an inspiration, full of fun, warm friendships, unexpected happenings, and serious achievement. A well-lived life, still on the move. I am sure Jumbo would agree.